Name That Noise: Can You Hear? Can you hear me? 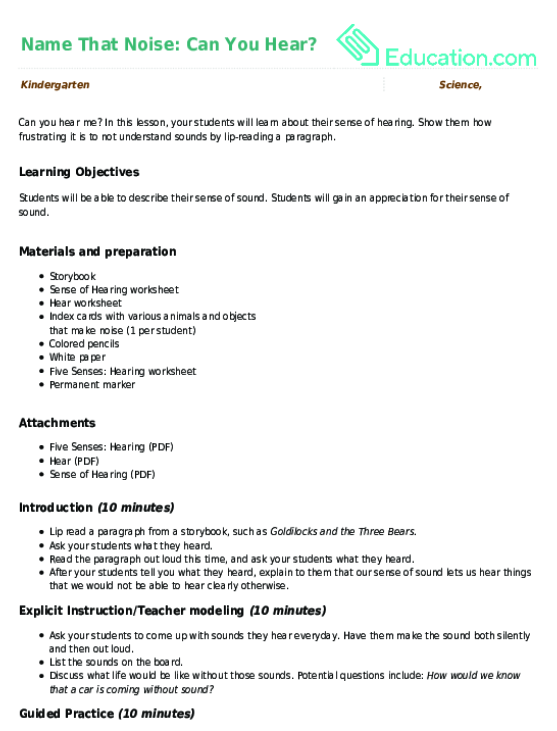 In this lesson, your students will learn about their sense of hearing. Show them how frustrating it is to not understand sounds by lip-reading a paragraph. 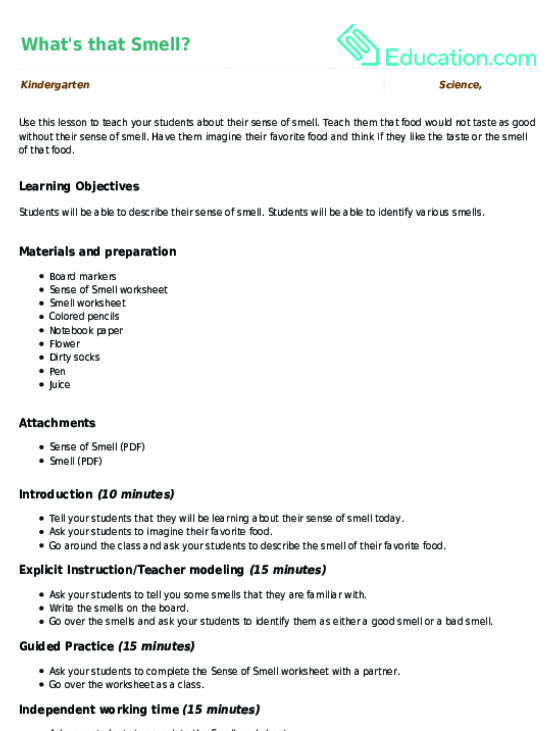 Use this lesson to teach your students about their sense of smell. Teach them that food would not taste as good without their sense of smell. Have them imagine their favorite food and think if they like the taste or the smell of that food. 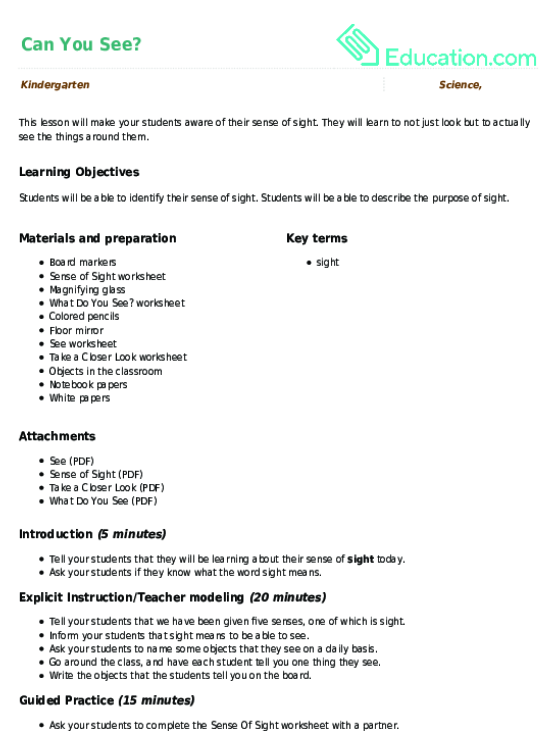 This lesson will make your students aware of their sense of sight. They will learn to not just look but to actually see the things around them.